Brand New! 2019 Calendar. 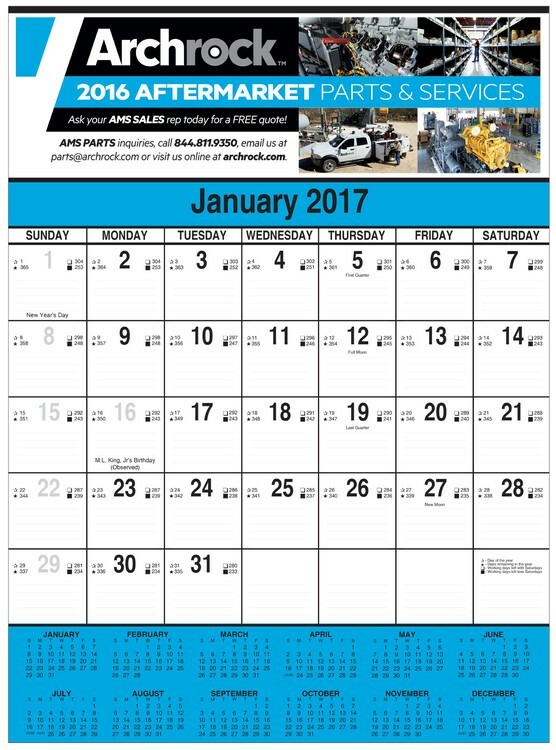 We now offer our most popular contractor calendar with a full color imprint. Calendar consists of 12 sheets. Wall calendar is tinned at top. Ghost ruled 2-1/2" memo squares. The calendar pad blocks show: day of year, days remaining, work days remaining excluding Saturdays, Sundays and holidays and work days remaining excluding Sundays and holidays.